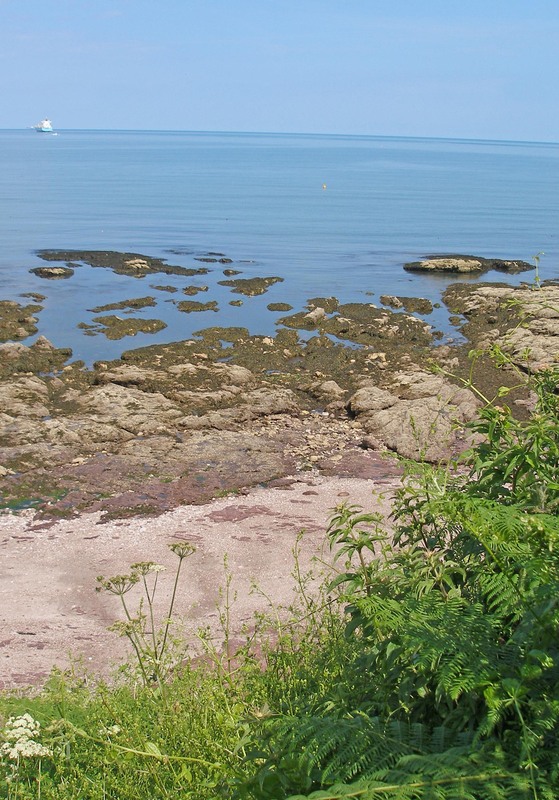 Not far from the quaint, walled harbour at Paignton in South Devon lies Roundham Head, a rocky headland that protrudes nose-like in to the sea. 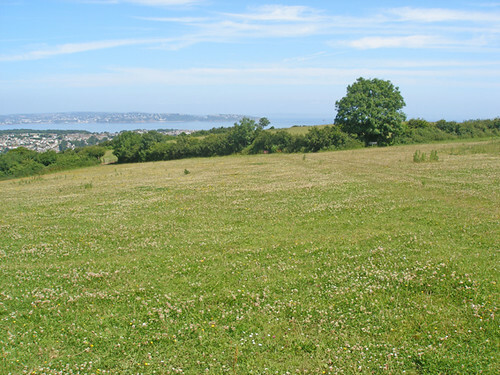 The northern part of the Head is a grassy plateau and views from here across the vast sweep of Torbay can be spectacular. Today, rust-red cliffs glow and the steel-blue sea sparkles; even the slew of white buildings scarring the Torquay hills acquires some dignity in this bright, late autumn light. On the southern edge of the headland are the Cliff Gardens and promenade, built in the 1930s to protect the crumbly rock against sea erosion. 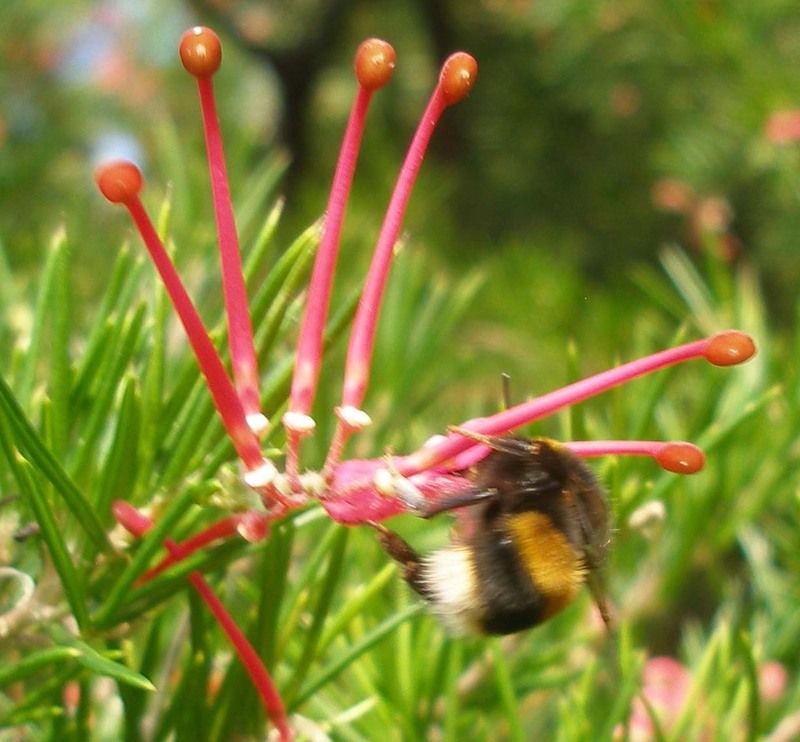 Paved paths zigzag up and down the steep slopes between flower beds and the gentle microclimate allows many exotic plants to flourish, providing a haven for wildlife. 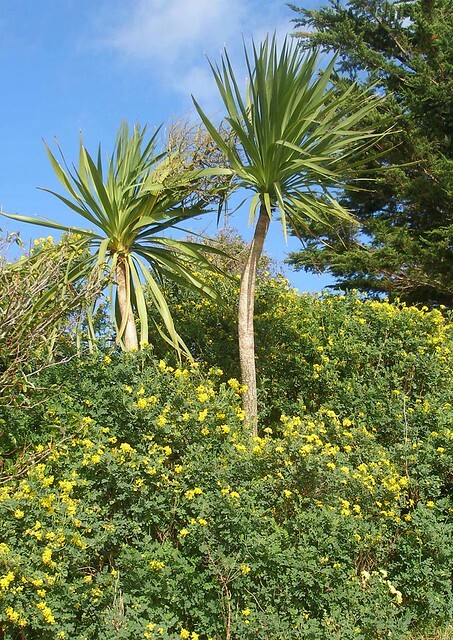 Dotted around the Gardens are the distinctive Torbay palms and the stiff breeze rattles their leaves like an avuncular uncle ruffling the hair of his favourite nephew. I know it is autumn but as I walk up and down the zigzag paths it seems that the plants are less sure about the season. 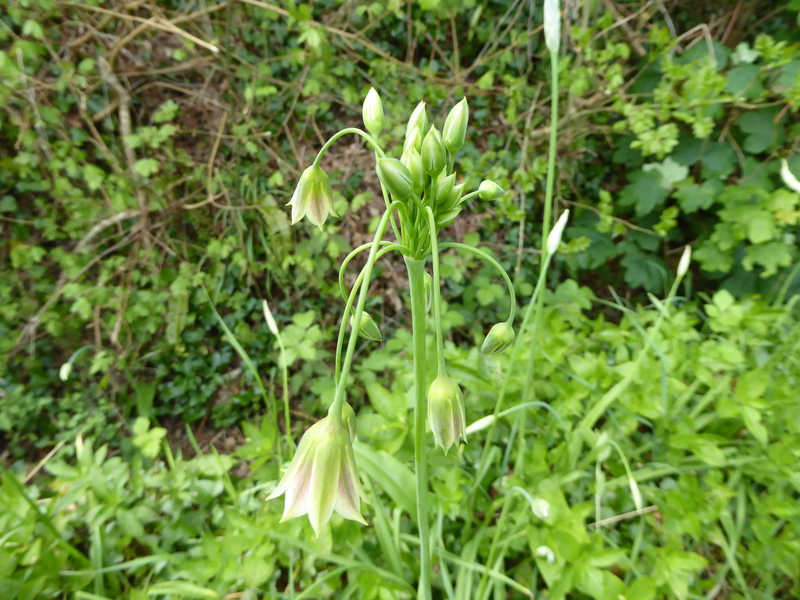 Yes, there are swathes of cobwebby old man’s beard, mature olive-green ivy berries with their rich brown caps and the agapanthus has exchanged mauve flowers for massive green seed heads. But there are also gaudy splashes of lemon yellow scorpion vetch, hanging curtains of rosemary with their sparkling blue flowers, clumps of shrubby bindweed covered with their yellow-throated white trumpets and dense sprays of pink bergenia. 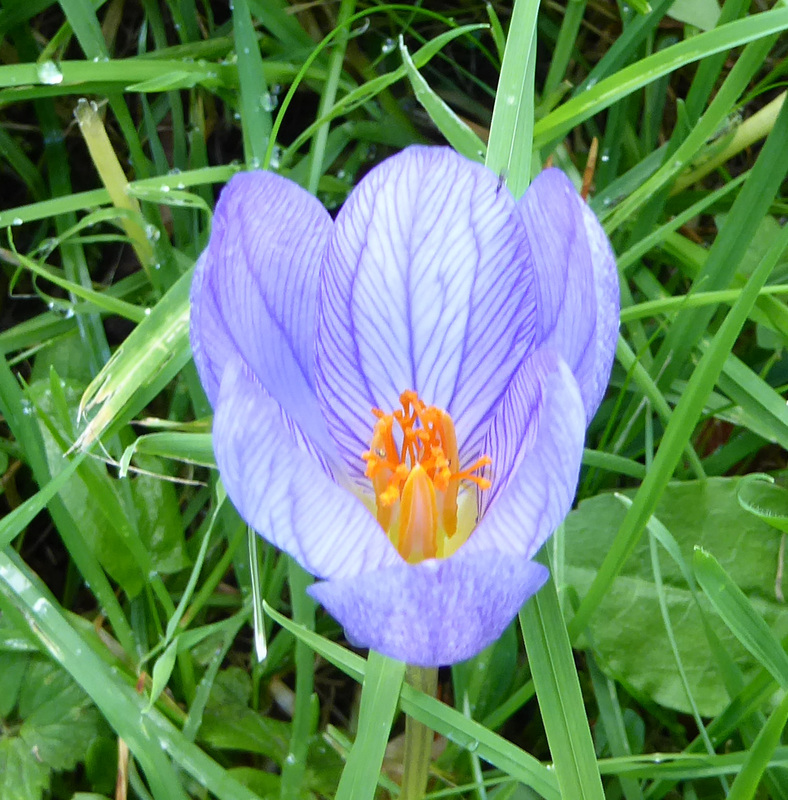 With all these flowers about and a sunny, mild day, I expect to see wildlife. 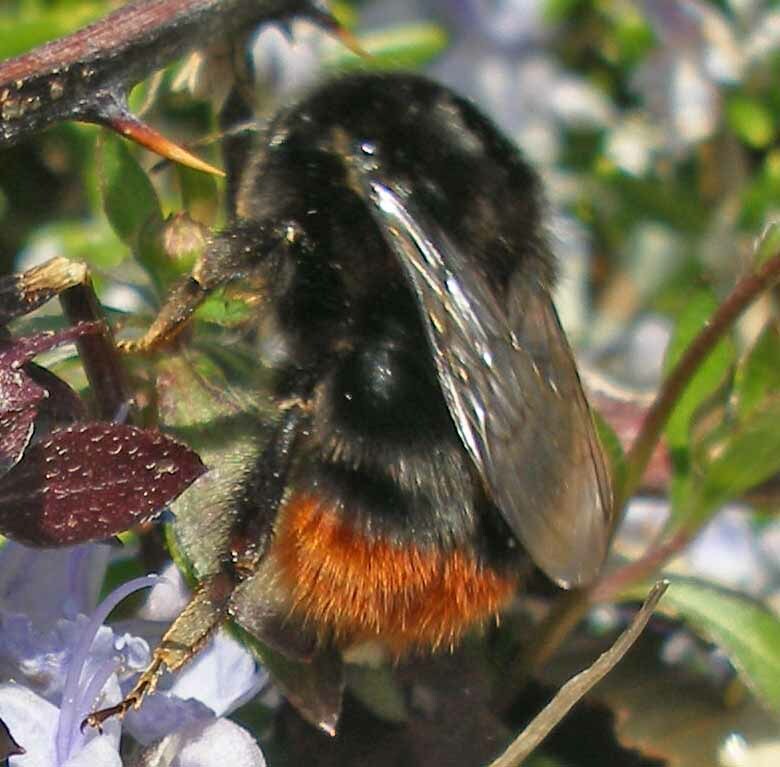 Eventually my patience is rewarded by the buzzy arrival of a huge furry bumblebee queen. 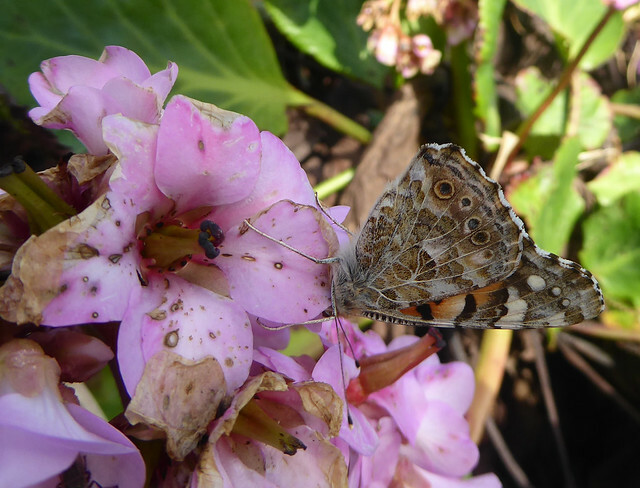 Despite her size she moves deftly among the plants, systematically probing the rosemary and bergenia flowers. 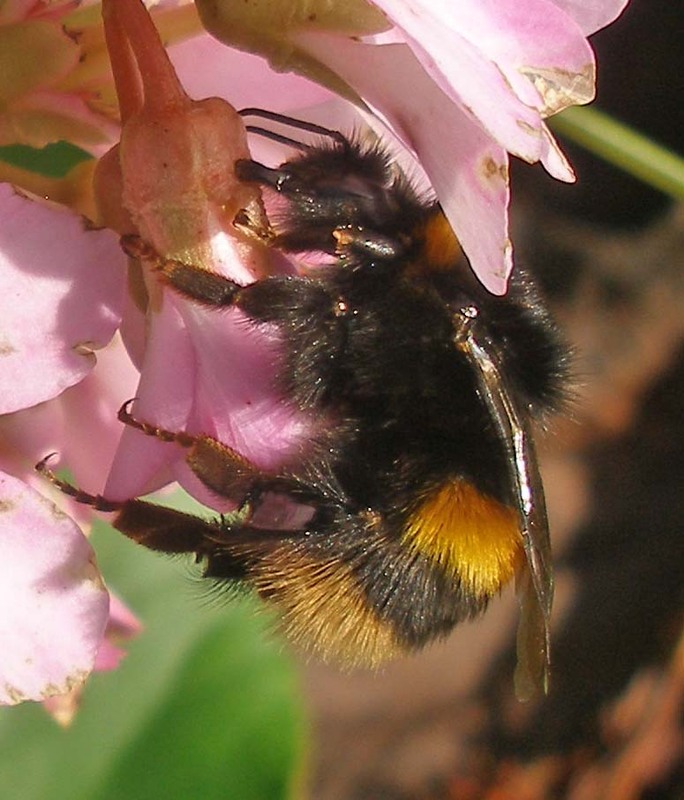 She appears to be in very good condition, and, in the sunshine, her golden yellow stripes glow and her tail is a warm tan colour, so she must be a buff tailed (B. terrestris). 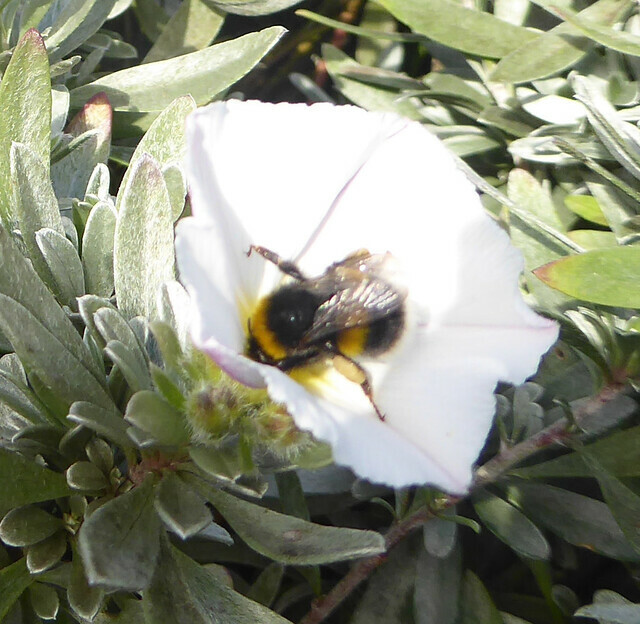 Later I see several worker bumblebees collecting pollen from the rosemary so there are active nests nearby, even in mid November. 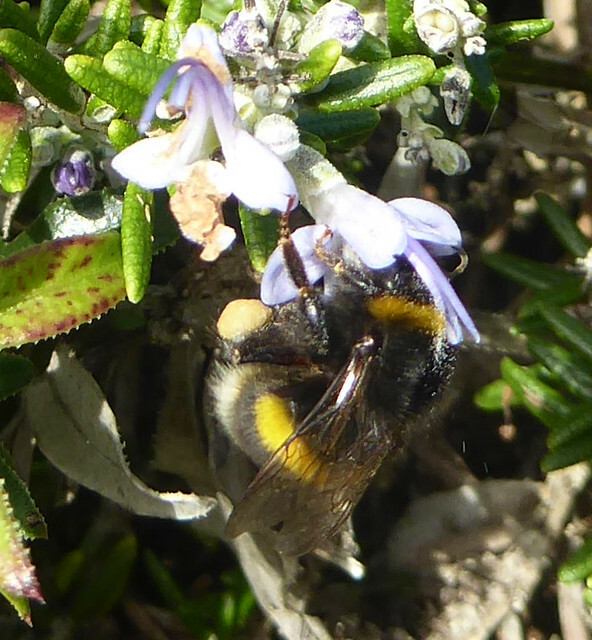 It doesn’t surprise me any longer to find these bumblebees at Roundham Head; I have seen them even in January and February and I am beginning to think that they are active throughout the year. 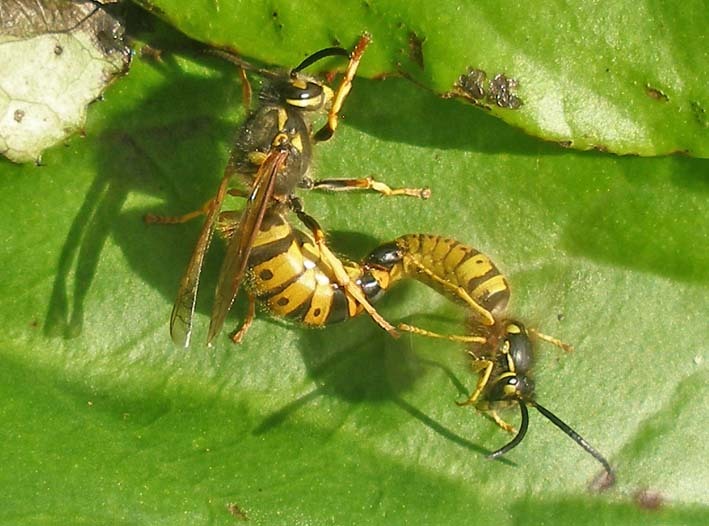 What did surprise me was to find two yellow and black wasps mating on a fleshy green bergenia leaf. 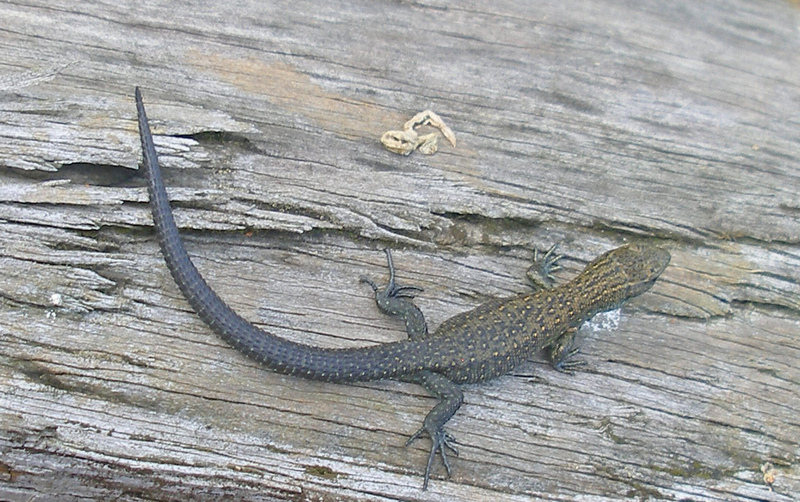 They start end to end, lying back on the leaf, but eventually the larger female mounts the male. 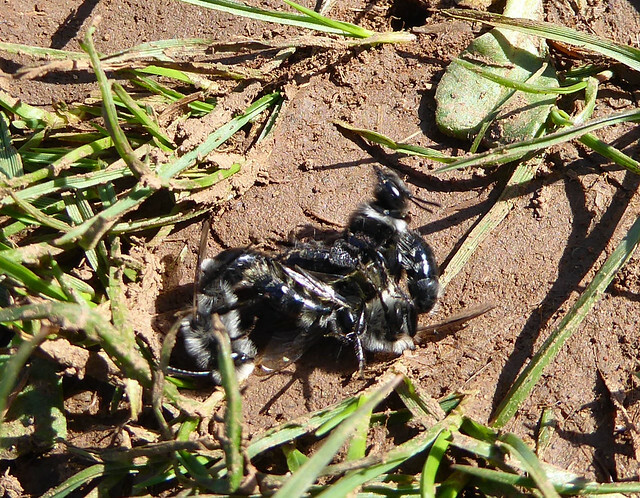 When they are finished the fertilised queen will find somewhere to pass the winter, the male will die, his job done. 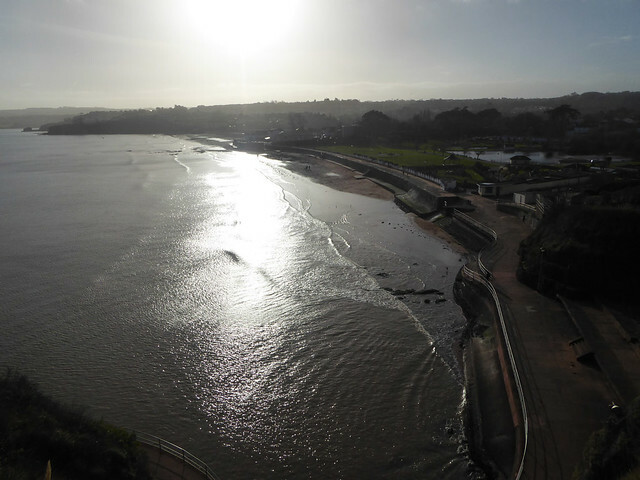 From the top of the Cliff Gardens there are good views down and across Goodrington Sands. This popular holiday beach is quiet today, its cafes and beach huts closed for the winter. The sea here is more battleship grey than steely blue but I also notice tinges of yellow and green where the underlying sand shows through shallow water. The strong offshore wind creates ripple patterns on the sea and lifts crests of fine spray from the incoming waves. Once the tide falls back, dog walkers and their canine friends appear on the beach in the sunshine. The still-wet sand is a mirror to the sun and the dogs and walkers become dark silhouettes. Elsewhere on the beach, curious low piles of sand appear in apparently random patterns, the work of local bait diggers. 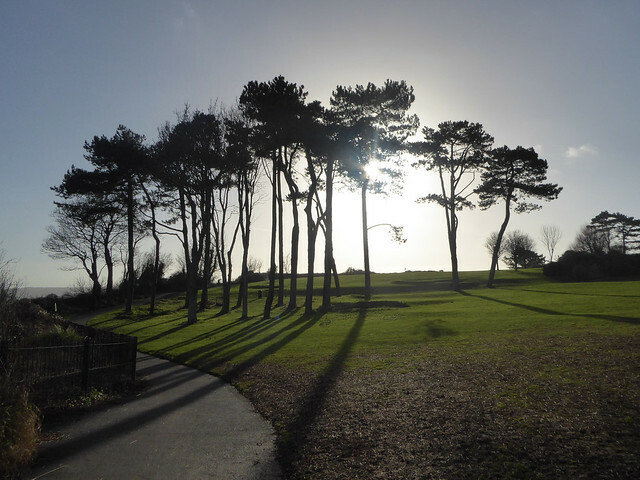 Roundham Head, Paignton, November 13th 2015. 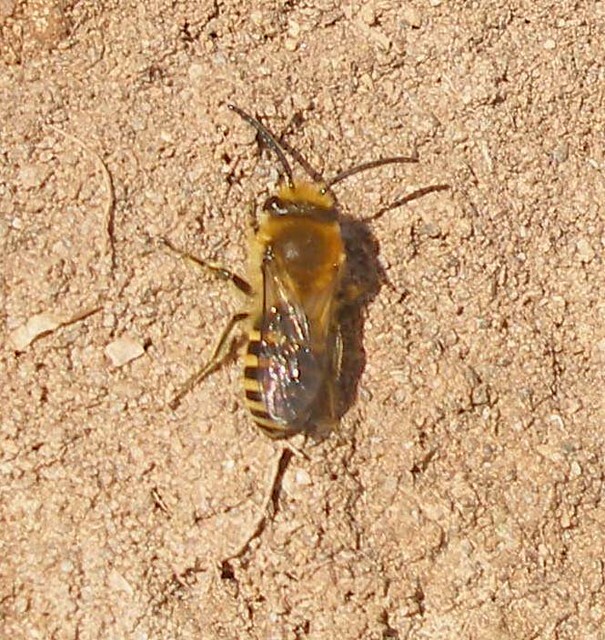 For the past five weeks or so I have been watching the ivy bees (Colletes hederae) as they emerged from hibernation to mate and to build and equip their nests. 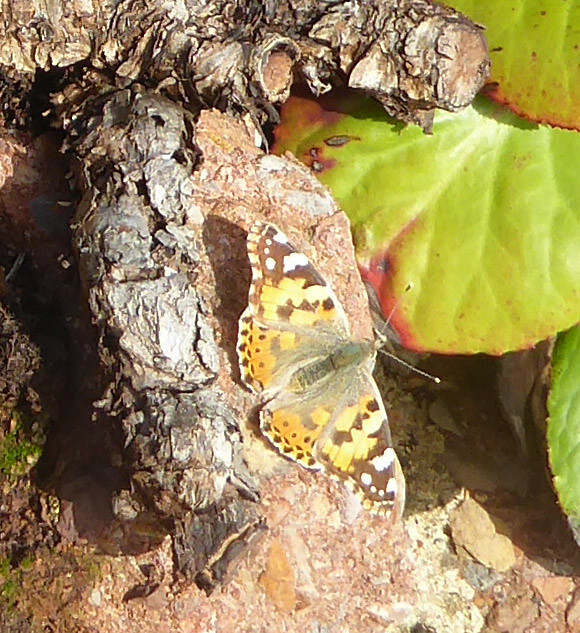 South Devon is something of a hot spot for these insects and from my limited observations they can be seen all along the coast, at least wherever there is plentiful flowering ivy. 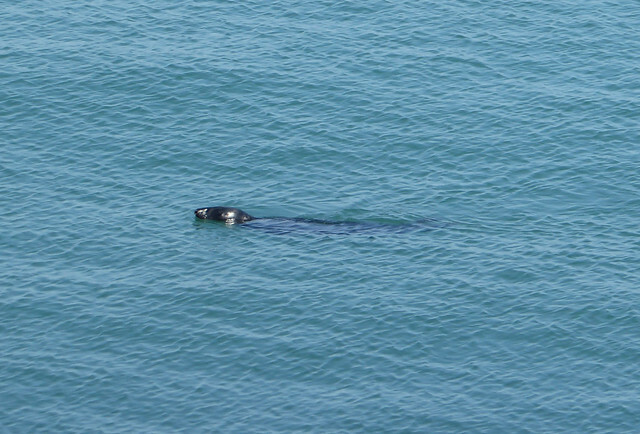 They are by no means rare but I still get a thrill when I see them, especially if it’s in a new location (for me). There’s also something paradoxical about their frantic activity at a time of year when most of nature is shutting down. 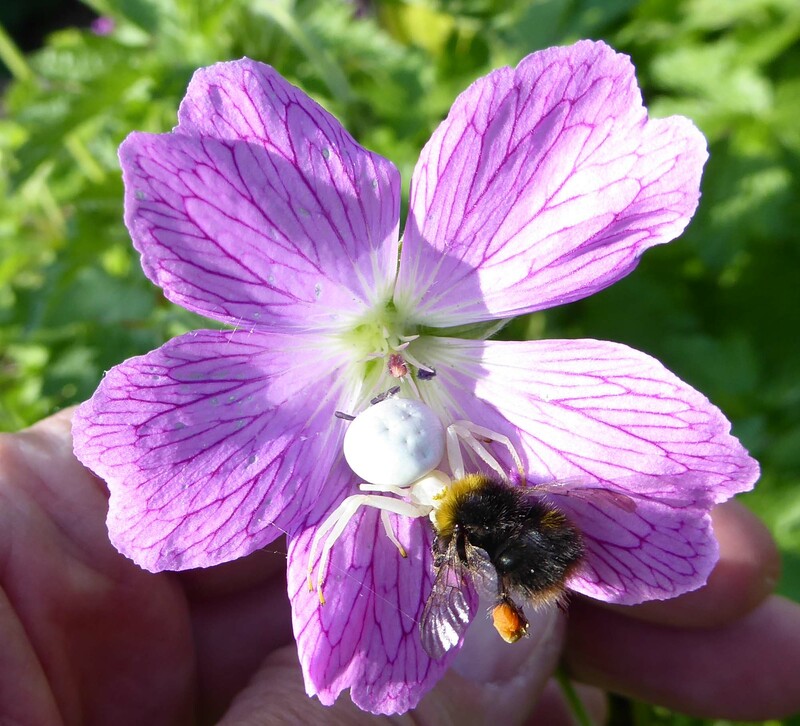 Occasionally, something surprising happens when I am out observing, either because of people or because of the bees and here are two recent anecdotes. 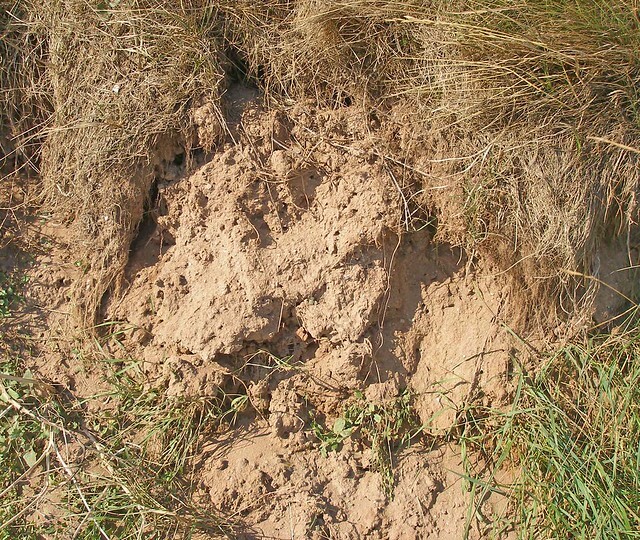 Last year I came across an impressive collection of ivy bee nests in the low cliffs at Mansands, an isolated beach near Brixham on the South Devon Coast (see featured image). There was plenty to see and the large number of nests was a surprise. The bees were mostly mated females so that the day I visited (October 3rd) might have been a bit late in the bees’ life cycle. 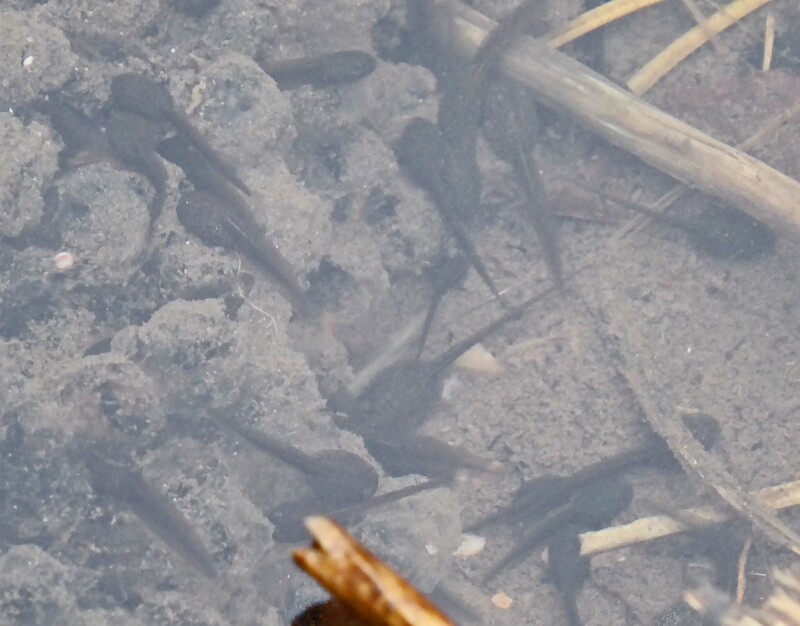 This year I decided to visit earlier with the hope of finding a mixture of males and females. We went to Mansands for the first time on September 15th; it was sunny and mild and not particularly windy but surprisingly I saw no ivy bees around the nest area. I did see a couple of ivy bees on a clump above the coastguard cottages but no others. There is quite a bit of ivy in the cliffs surrounding Mansands and in the approaching lanes but not much of it was in flower so perhaps I was too early. I was keen to try again but life is rather busy at present and I didn’t have a chance until September 30th; that day we had an hour to spare and made a flying visit to Mansands. It was a sunny day and the temperature mild for the time of year (~16o). At the coast, there was a surprisingly strong and variable onshore wind which buffeted us as we walked down the steep stony path to the sea; on the way we saw plenty of ivy in flower. Under a clear blue sky, the sea was a uniform turquoise but the strong wind decorated its surface with white wavelets and created trains of foamy waves nearer the shore. 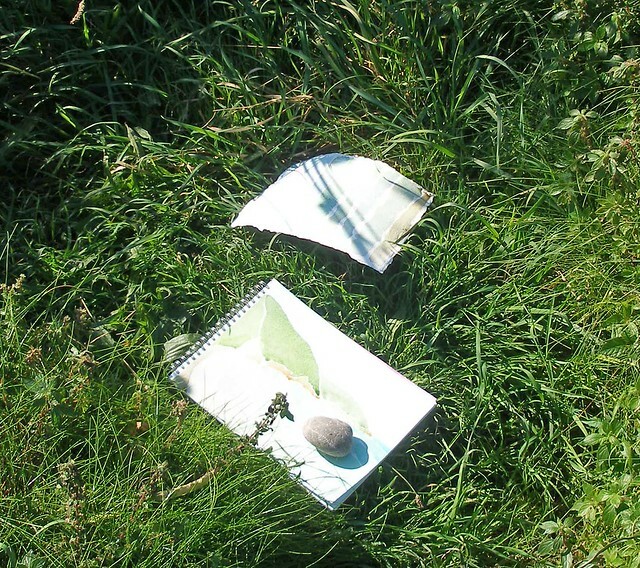 The view was spectacular but given that I had come to see the ivy bees and Hazel to paint with watercolours, a little less wind might have been preferable. When we reached Mansands, I headed for the nest area, staggering slightly in the wind as I negotiated the stony beach. 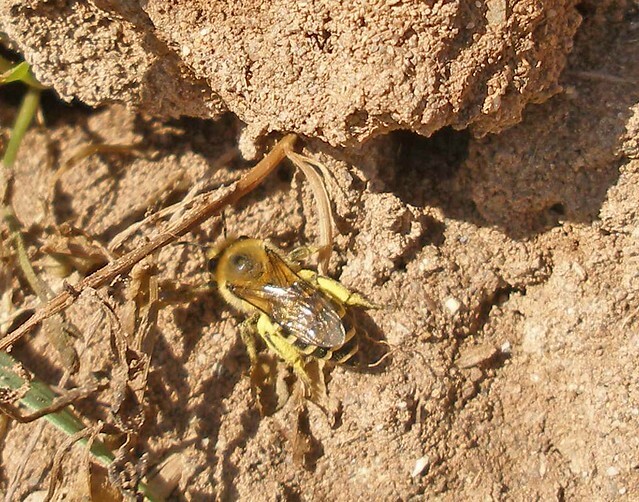 There were plenty of nest holes in the pinkish crumbly cliffs and a few, but not many, ivy bees about. 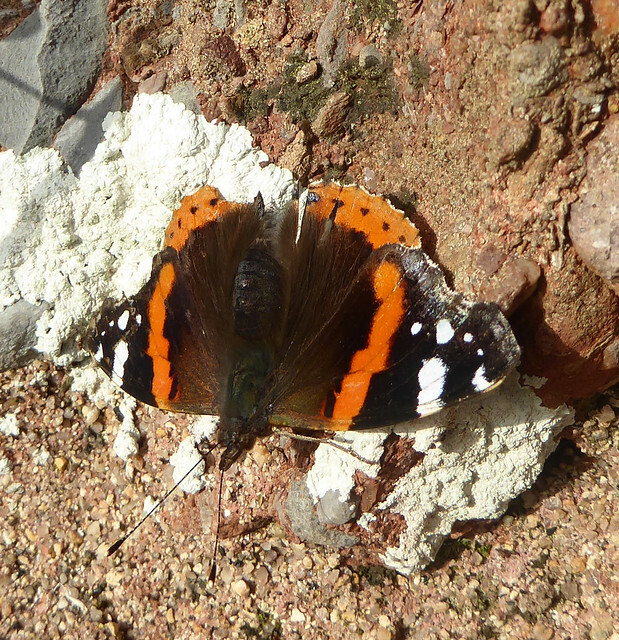 It was so windy that they were finding it difficult to fly and difficult to land. Some of the bees were males patrolling hopefully, looking for females; from time to time they rested on the sand and grass. 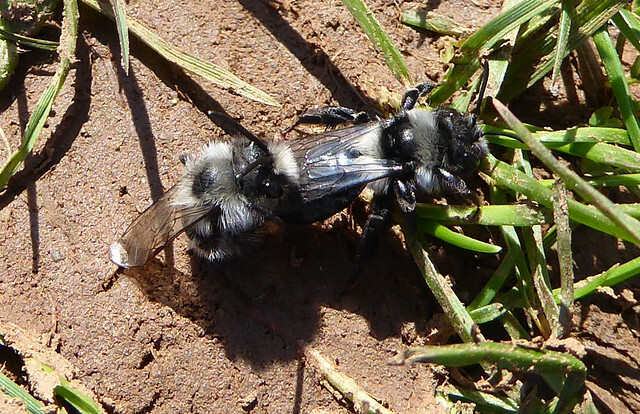 Females, their back legs dressed with yellow pollen-pantaloons, also arrived sporadically and, after resting, they made their way in to nest holes. The males paid no attention to these mated females. As I watched, camera in right hand, a male approached the area and landed on one of the fingers of that hand. The camera was secured with a safety strap making it very difficult to manoeuvre and I failed completely to get a good shot of this trusting male bee. I was able to study this bee for some time by eye but in my experience a good photo reveals much more. Later, however, a female decided to land on my left hand. She seemed happy to stay there allowing me to get some rather nice photos from several angles. 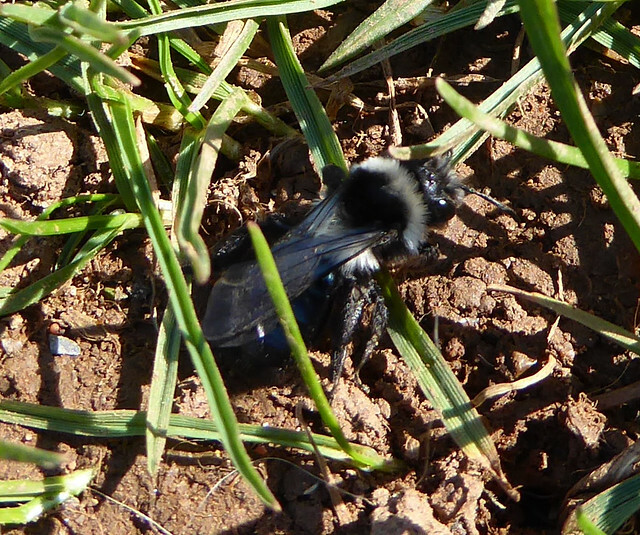 This has never happened to me before and feels like uncharacteristic behaviour for solitary bees. They usually appear disturbed by my presence so, I assume, that on this windy day in their slightly dazed state they landed wherever they could. Lots of wasps about today! 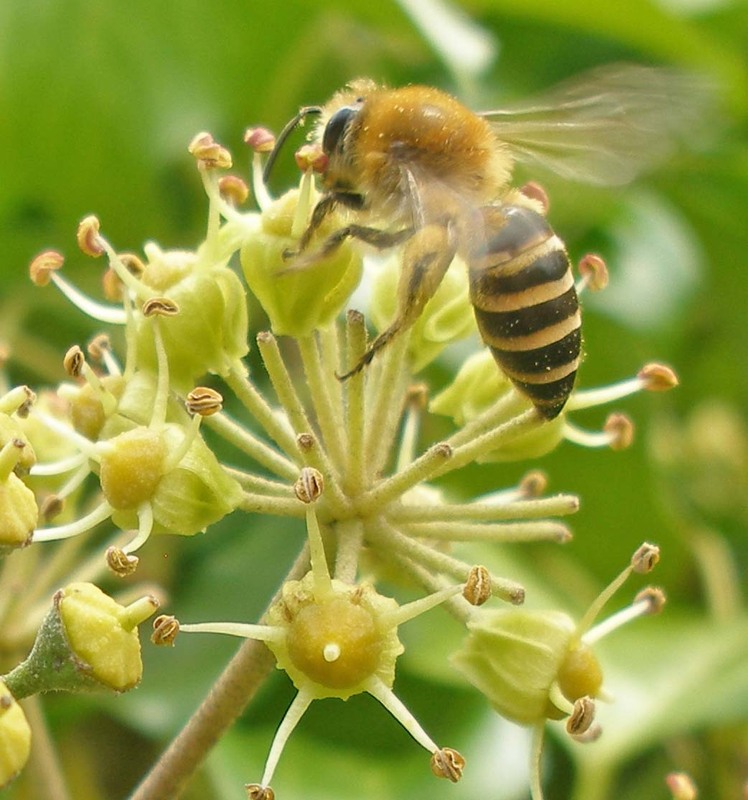 Should anyone watch me on one of my ivy bee investigations they will see someone gazing in a slightly bemused manner at a clump of ivy, marvelling at the behaviour of these small creatures. 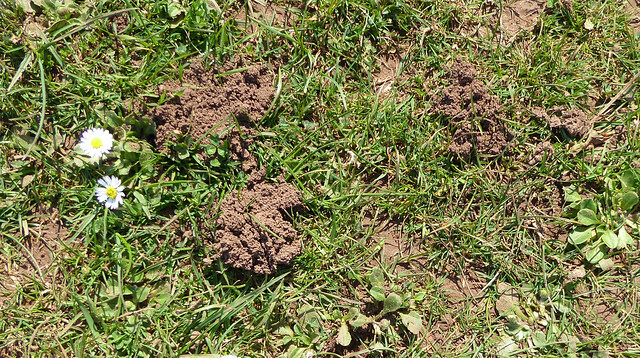 Many of these clumps are found along the South West Coast Path, many in the urban sections around Torbay so there are plenty of passers by. I don’t know what they think but for the most part these people ignore me. I recently discovered some particularly generous clumps of ivy cascading down one side of a railway bridge in Hollicombe. 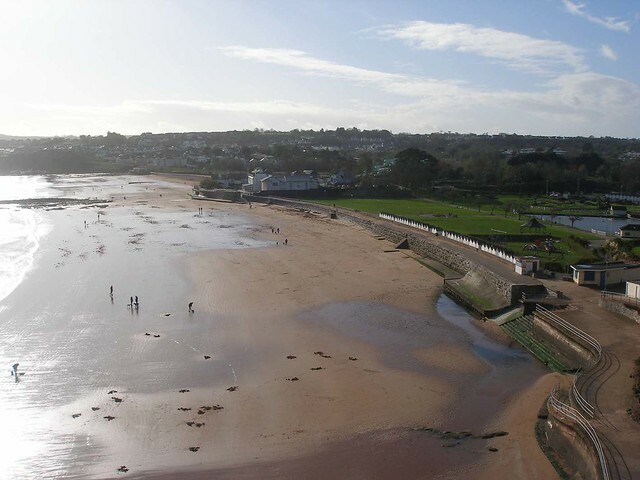 This is a Torbay district between Paignton and Torquay with a secluded cliff-enclosed beach. 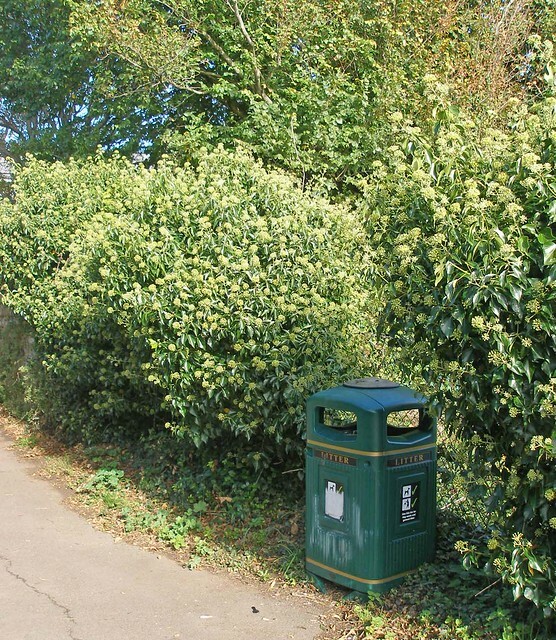 I have observed at Hollicombe several times and on the last two occasions, it was a very sunny, warm day and the ivy flower odour was particularly strong and cloying. 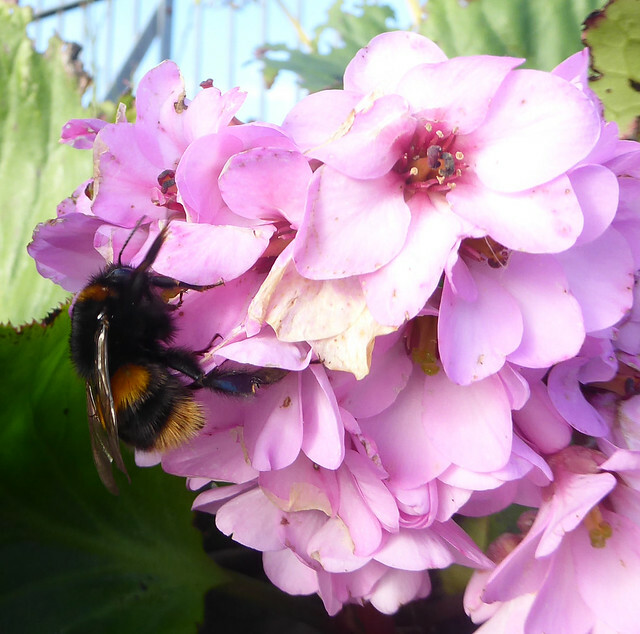 I was transfixed by the energy expressed by the bees and other insects as they flew ceaselessly around the ivy flowers, and sometimes around my head! Even in this small area there must have been thousands of ivy bees. 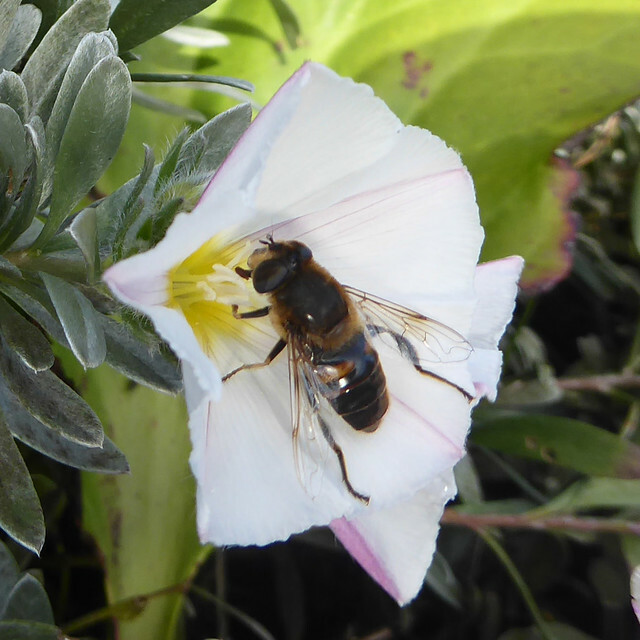 They were a mixed population of pollen-gathering females and nectaring males. 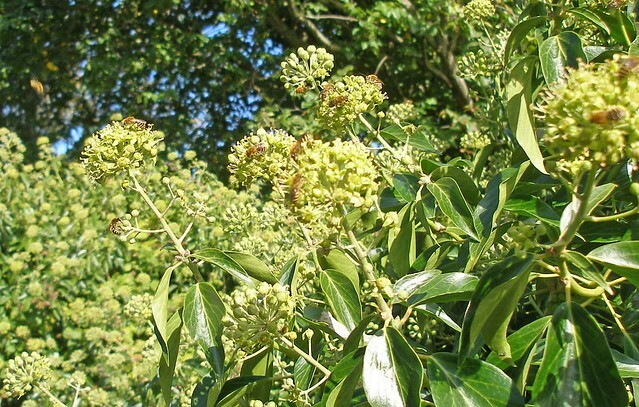 How many ivy bees can you spot? “Lots of wasps about today!” he began cheerily. “They’re not wasps, they’re ivy bees” I tried to make my reply as helpful as possible. “It’s the ivy” I replied, again trying to be helpful. “What, you mean they use it to make Marmite?” he sounded shocked. “Oh,” he didn’t sound convinced. “Would you like me to show you the ivy bees?” I offered. 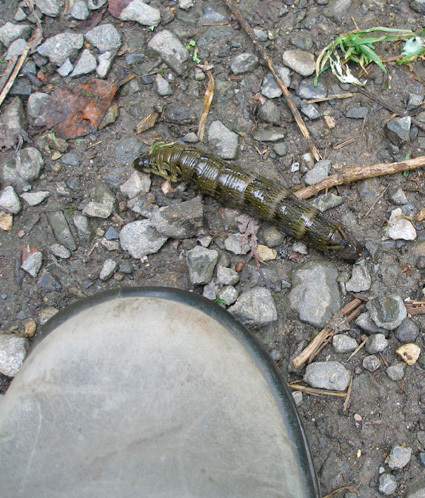 “No thanks!” he said accelerating away down the path. He still thought they were wasps! There are many species of wasp in the UK but the species known and feared by many people are usually either the common wasp (Vespula vulgaris) or the germanic wasp (Vespula germanica). 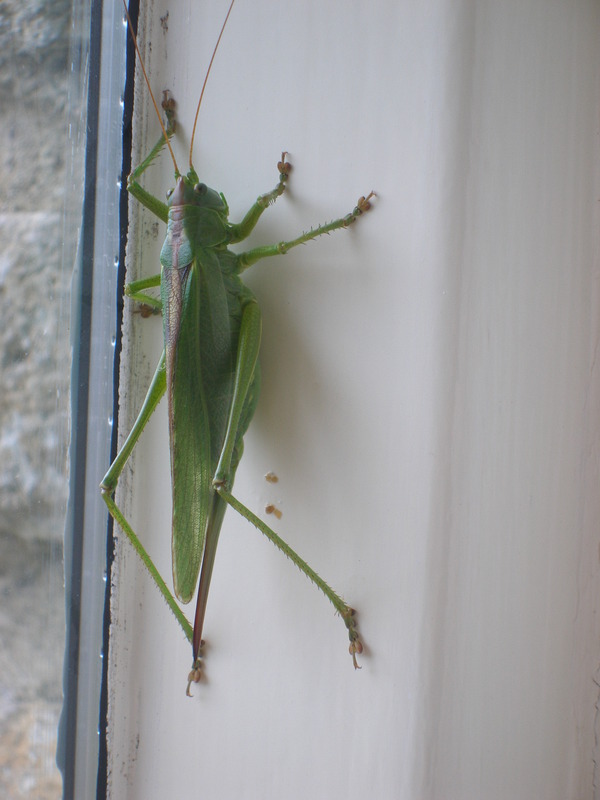 These are the familiar black and yellow striped insects which make such a negative impression on people. I remember in August this year, a hot midsummer’s day, when tea in an outdoor cafe was seriously disrupted by the creatures. I didn’t suffer any stings but I have in the past and it’s something you don’t forget. 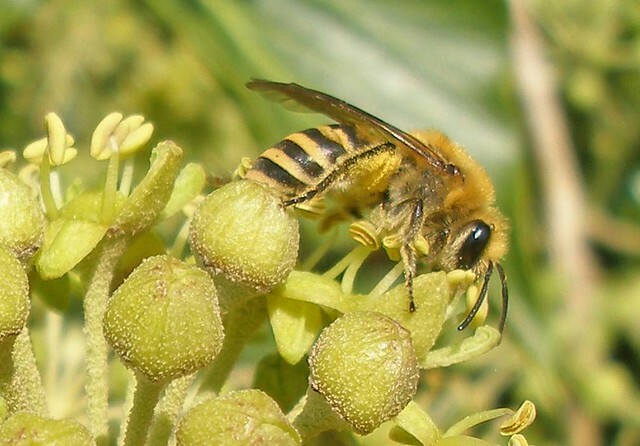 Many others have had similar experiences and given the passing resemblance between common wasps and ivy bees it’s possible that a really busy clump of ivy reminds people of these stinging insects. 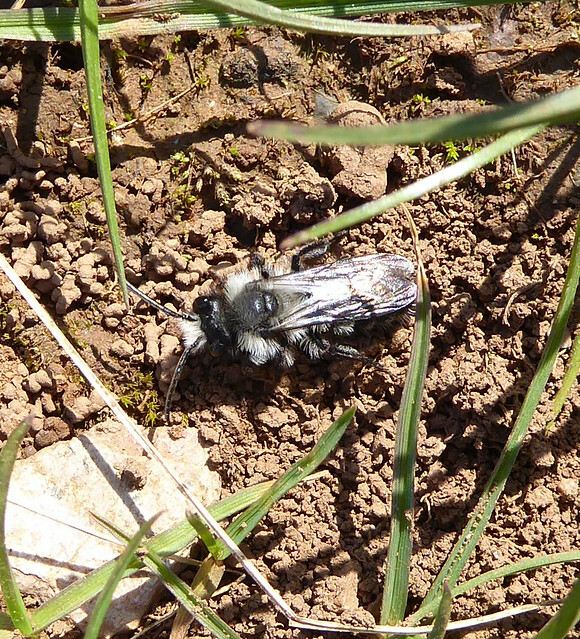 The problem is compounded by the lack of knowledge among the general population about solitary bees. 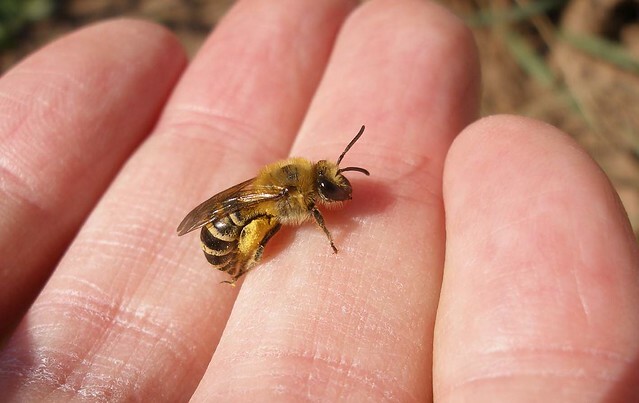 Most people don’t even know that solitary bees exist; the bees themselves are very reticent so that most humans rarely knowingly encounter them. 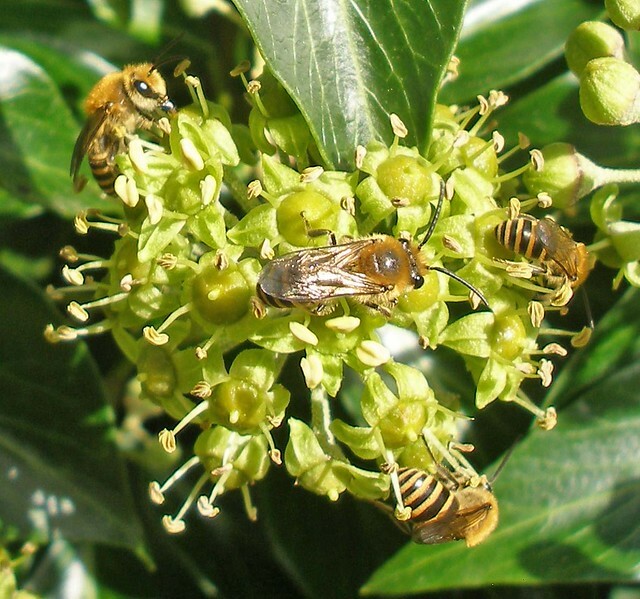 So, it’s no surprise that the man who accosted me mistook the ivy bees for wasps. Education is what is needed so I shall have to continue to offer to show the ivy bees to anyone who passes. 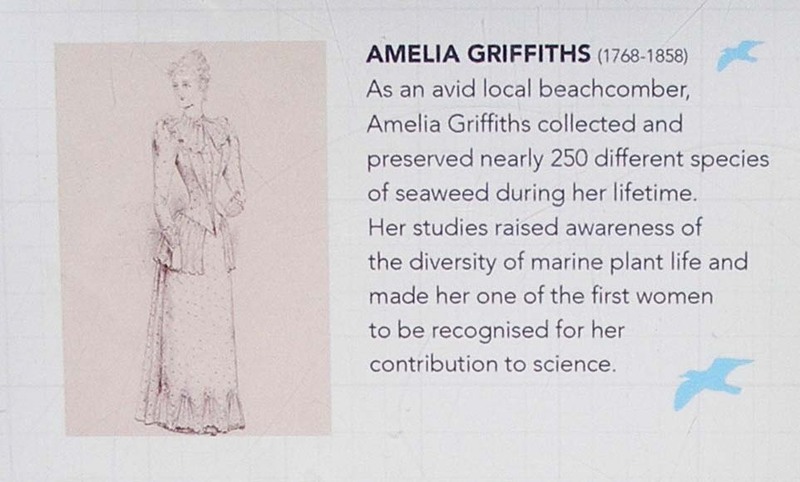 The Queen of Seaweeds – the story of Amelia Griffiths, an early 19th century pioneer of marine botany. In 2010, the Royal Society compiled a list of the ten most influential female scientists in British History. 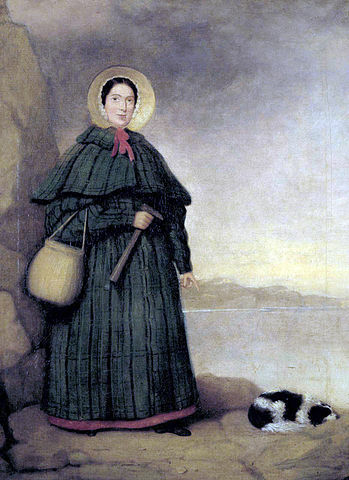 One of the ten was Mary Anning (1799-1847) who from humble beginnings in Lyme Regis, Dorset came to be recognised as the “greatest fossil hunter ever known”. Her discoveries of long extinct, fossilised creatures in the cliffs around Lyme Regis were central to the development of new ideas about the history of the earth at the start of the 19th century. She became an expert in her field but did not get the recognition she deserved because science at the time was an exclusively male profession. Nowadays she is receiving this recognition and the fascination of her story has spawned biographies, novels and children’s books. The Lyme Regis Museum has well-developed plans to build an extension, to be called the Mary Anning Wing. So who was Griffiths and what did she do? Amelia Warren Rogers was born in Pilton, North Devon in 1768. In 1794 she married Rev. William Griffiths and the couple moved to Cornwall. Eight years later, her husband died suddenly under mysterious circumstances leaving his widow with five young children but not without money. 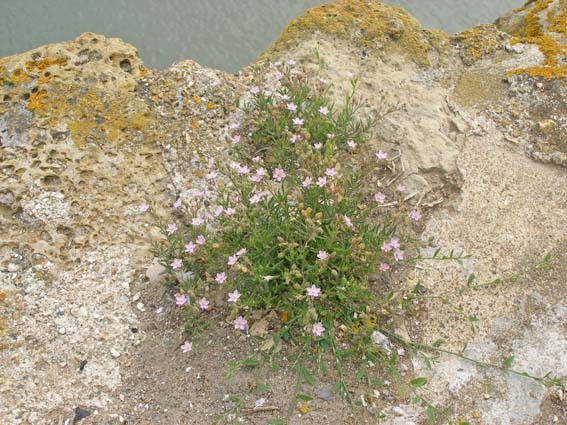 Amelia Griffiths decided to leave Cornwall for Devon, living first at Ottery St Mary before settling in Torquay where she could best follow her favourite pursuit of studying seaweeds. 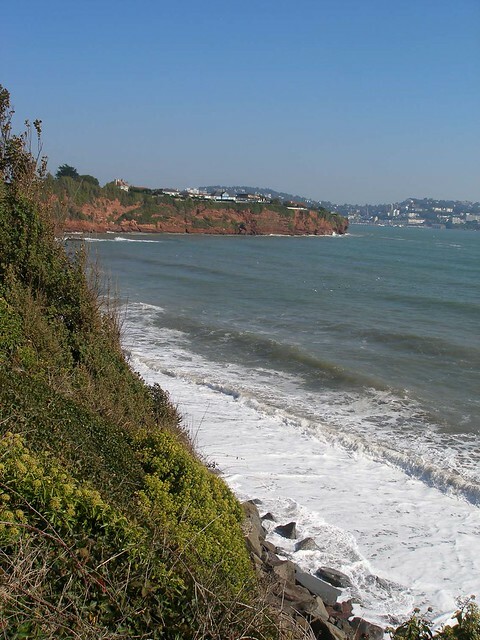 One of the Torbay coves that Griffiths may have frequented when she lived in Torquay. Plenty of seaweed is still visible. For much of her adult life she collected seaweeds avidly: in north Devon and Cornwall, in Dorset and along the East and South Devon coasts. When she began, identification of species was difficult as many had not been named or clearly described so Amelia devised her own names – “bottle brush”, “cobweb” etc. She helped male seaweed enthusiasts in producing scholarly studies on the larger and smaller seaweeds, generously giving her knowledge and donating samples. One such enthusiast was the leading botanist William Henry Harvey with whom she corresponded and who eventually became a close friend. Her reputation grew and in 1817, the Swedish botanist Carl Agardh named a genus of red seaweed Griffithsia in her honour. 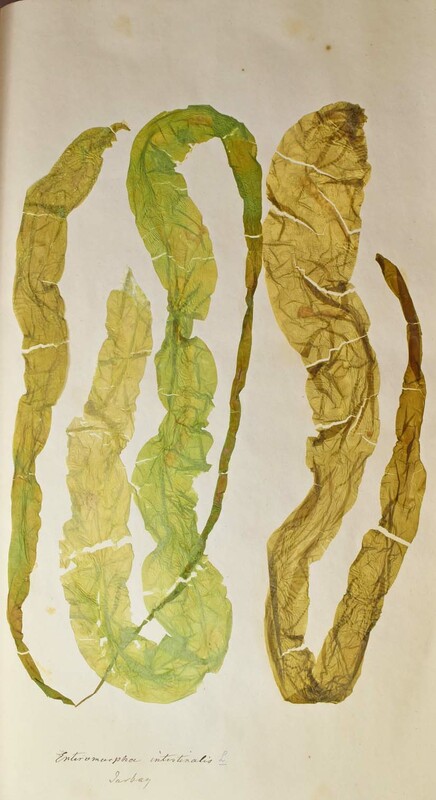 Dried samples of seaweeds collected by Griffiths are held in several museums including Kew, Torquay and Exeter. Exeter’s Royal Albert Memorial Museum holds three slightly battered leather-bound volumes of her seaweeds which I recently had the privilege to see. Each sample is mounted on stiff white paper and annotated with the name and location in Griffiths’ neat handwriting. Many of the seaweeds still retain their bright colours despite being collected more than a century and a half ago. Griffiths was often accompanied on her seaweed sorties by Mary Wyatt, formerly a servant in the Griffiths household but eventually the proprietor of a Torquay shop selling shells, polished madrepores and pressed plants. Harvey encouraged Mary Wyatt to sell books of pressed and named seaweeds to help identification. 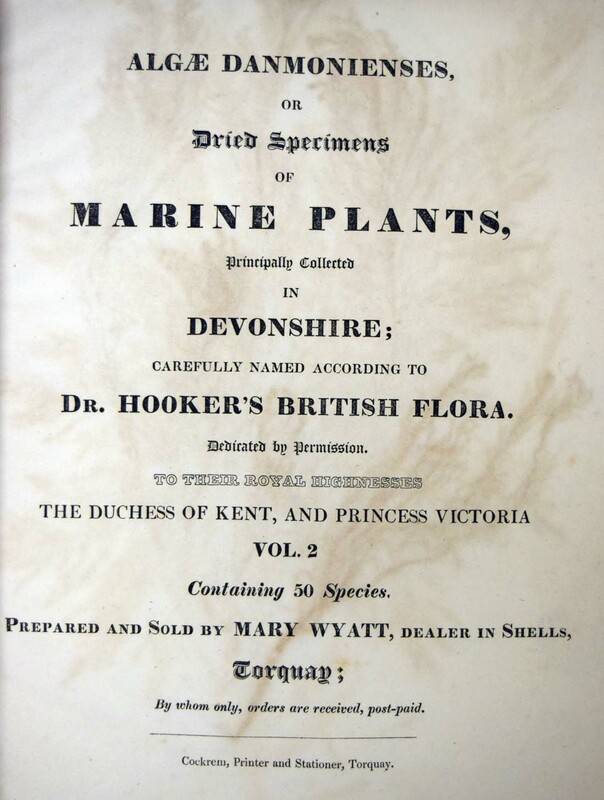 Supervised by Amelia, she produced the first two volumes of Algae Danmonienses (Seaweeds of Devon) by 1833. Each volume contained 50 species and cost 25 shillings or £1 if you subscribed to the series. The books sold well, being partly responsible for making seaweed collecting the must-do pastime at seaside resorts in early Victorian Britain. 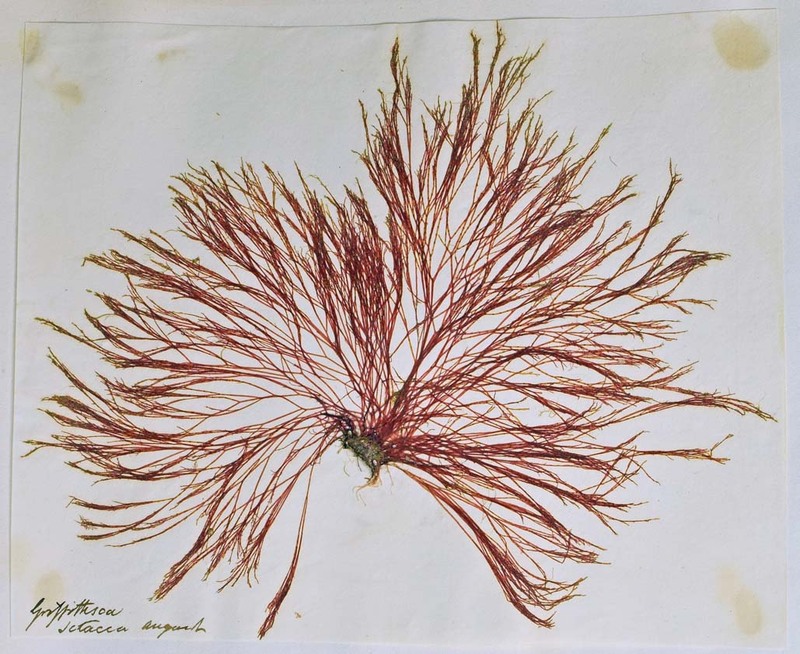 Followers of this seaweed craze were able to explore nature, improve their scientific knowledge and perhaps produce a memento of their seaside holiday. The title page of one of Mary Wyatt’s books of seaweeds with a special Royal dedication. © 2014 Royal Albert Memorial Museum & Art Gallery, Exeter City Council. The more I investigated the story of Amelia Griffiths, the more I found similarities with Mary Anning. Both were systematic collectors, acquiring immense expertise in their fields and passing on samples to male scientists who furthered their own careers as a result. Both were strong women who pursued their interests whether or not these conformed to norms of society. Griffiths is known to have collected at Lyme Regis so perhaps she encountered Anning on the beach; it is an interesting thought. Anning is now better known, partly because her discoveries were much more significant for science and partly because of the well developed Mary Anning-industry in her home town. Griffiths lived until nearly 90 maintaining her passion for seaweeds to the end. We must not forget that she began her systematic study of seaweeds in the early years of the 19th century, a time when women could not develop independent scientific careers. Despite this, she made a major contribution to marine botany and deserves to be more widely known. I should like to thank Holly Morgenroth of the Royal Albert Memorial Museum, Exeter, who showed me Griffiths’ books of seaweeds and took the photographs. This article first appeared in the August edition of the Dorset-based Marshwood Vale Magazine. The picture at the top of this post is of Phycodrys rubens (formerly Delesseria sinuosa) in Griffiths’ books (copyright 2014 Royal Albert Memorial Museum and Art Gallery, Exeter City Council). The hills are alive with the sound of …… bees! The fishing port of Brixham lies at the southern end of Torbay in South Devon. 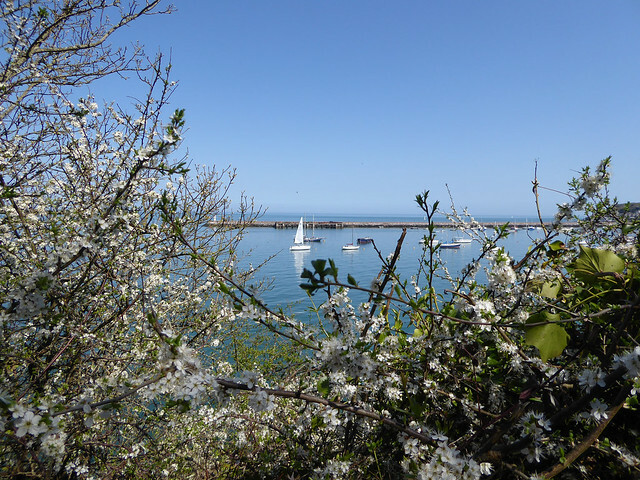 Last week, we walked along Brixham’s minor roads and quiet residential streets to reach a green lane leading away from the town and towards the coast path. The green lanes in Devon form a network of ancient tracks and here the green canopy, the high banks and the exposed bedrock kept us cool before we headed up hill over fields. As we climbed, we were rewarded with ever improving views over the entire panorama of Torbay. Here is a view towards Torquay with Brixham in the foreground. 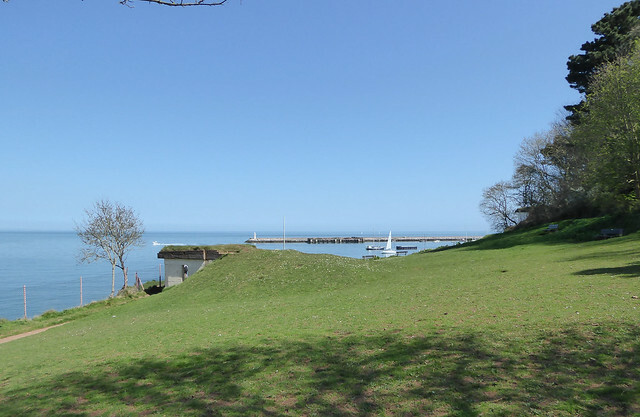 The wide curve of the bay is certainly spectacular especially when the sun shines and if you imagine the bay without the scar of housing then you can see why visitors to Torbay in the late 18th century might have been reminded of Italy. One such visitor enthused: “It is not England but a bit of sunny Italy taken bodily from its rugged coast and placed here amid the green places and the pleasant pastoral lanes of beautiful Devon”. 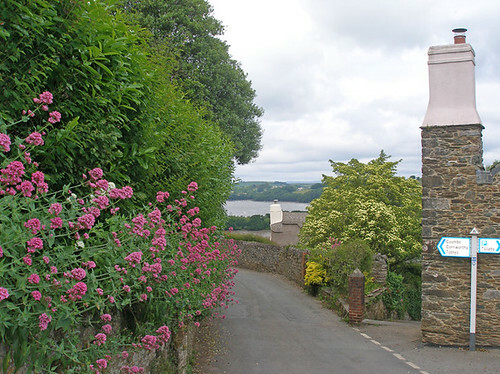 Even nowadays, the red valerian found in the summer all over this part of Devon manages to create some feeling of the Mediterranean although the modern, rather unsympathetic development of Torbay detracts. Another picture below shows the fields above Brixham and if you look carefully at the surface of the field in the foreground, it appears to be covered with a white sheen. 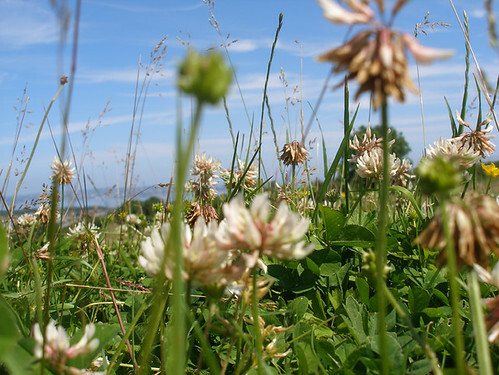 This is in fact white clover mixed with buttercups and other wild flowers. We paused here to take in the view and to catch our breath on this warm day. It was very quiet but gradually we became aware of a low level hum. It took a while to realise what was causing this but when we looked more closely we could see that the field was full of bees, both honeybees and bumblebees; wherever we looked there were bees enjoying the clover. All our attempts to photograph the bees failed but here is a close-up of the clover. 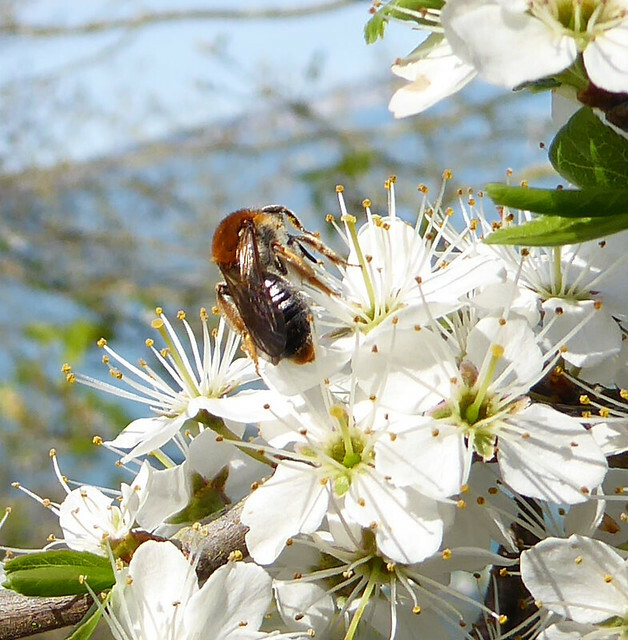 Emily Heath has recently talked about how honeybees and bumblebees like white clover on her AdventuresinBeeland Blog. The noise we heard, let’s call it a “midsummer hum”, took me back to my first year at senior school when we read a book, Bevis by Richard Jeffries. This book, written in 1882, tells the story of two boys, Bevis and his friend Mark, and their adventures. These include mock battles with other children, rigging a boat and sailing to an island. At one point, the boys remark that the only sound they can hear is the “midsummer hum”. I can’t now imagine why this book was chosen for us to read; perhaps my English teacher thought it would capture the imagination of a class of eleven year old boys. The story also has clear parallels with the Swallows and Amazons books of Arthur Ransome, which were quite popular at the time. I remember not liking the book (Bevis) but for some reason, the idea of a “midsummer hum” has stayed with me all these years.